I took the first 7 bars from the pdf in the demo and stuck that in a Reaper and midi file. It’s here. I can’t guarantee it will always stay in that location, but if you look for [SuperstitionStart] in GitHub, you should find it if it does move. 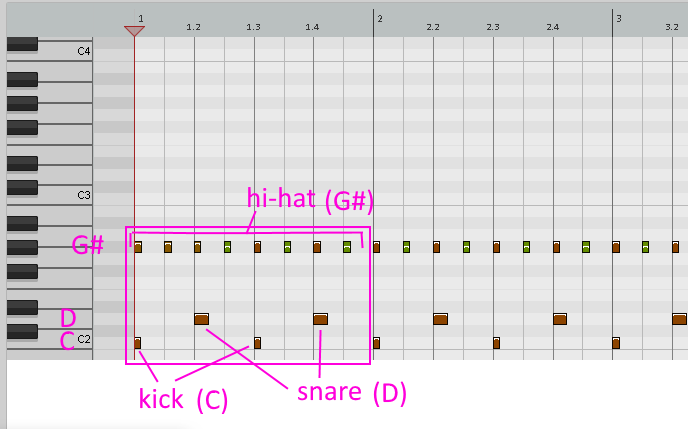 While doing this, I found a great free drum VST – http://www.powerdrumkit.com/. Those are the drums you here in the wav I recorded for this. 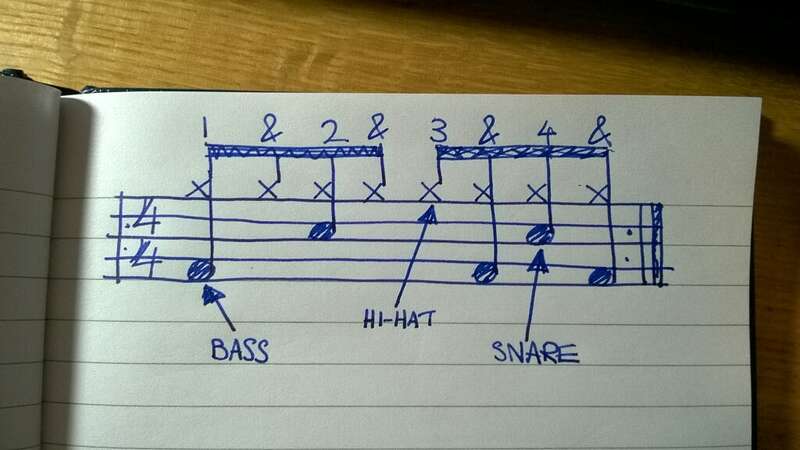 This is a good explanation of drum notation, and they also include a PDF. Ref the previous post about inconsistencies in denoting drum types, I wondered how MuseScore would do it. 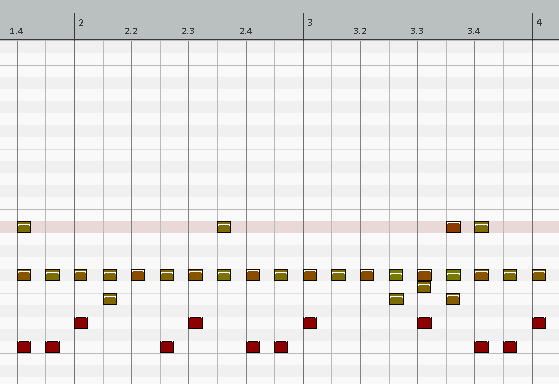 At this point, you have a score (in tab A) in non-Drum mode. 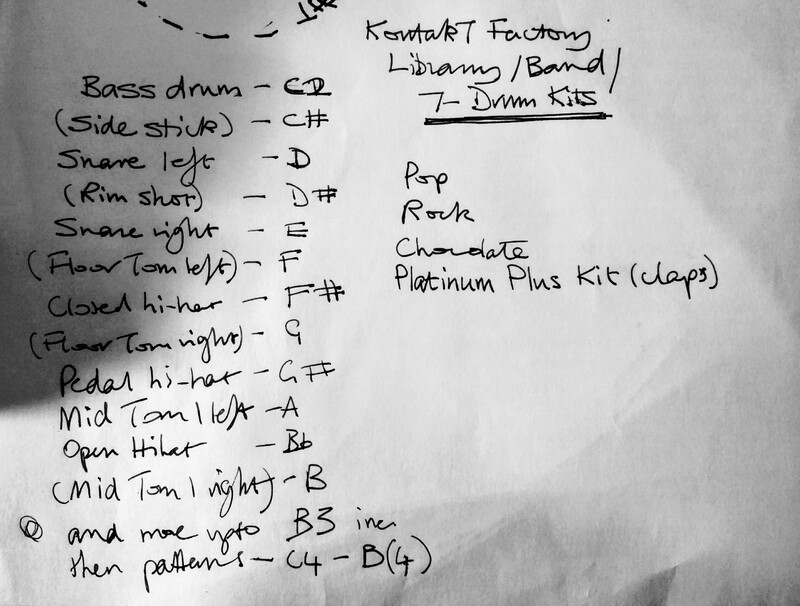 So you have to File/new/(choose instrument)pick instrument as DrumSet. Call this tab B. In tab B, go to the front of the stave and paste. That should give you something like this in tab B, where the call-it II symbol denotes that it is a drum score, the F, in treble clef terms, is a bass drum, and the C is a snare drum. And, for me that is good enough. 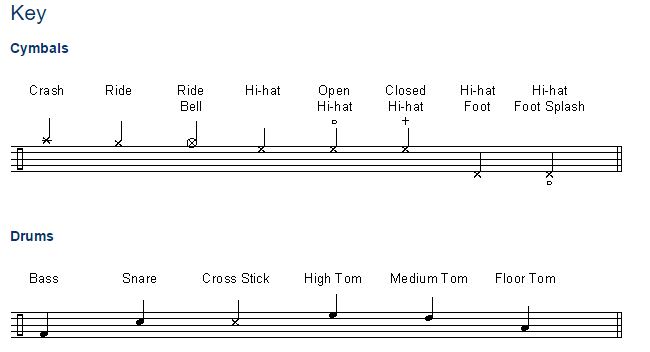 Thanks to Wikipedia for this contribution on drum notation – really useful. 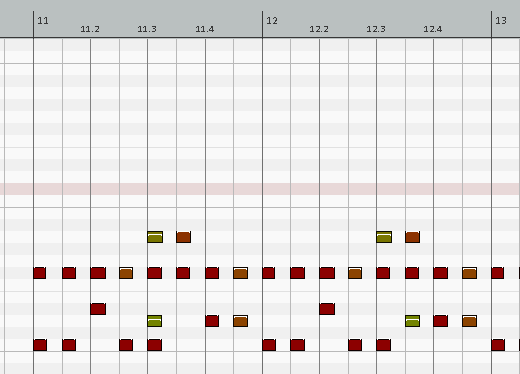 As an example..
Hm, maybe better off sticking to Midi.